Expectations: Moderately high. I enjoy the Puppet Master movies. If there’s one thing I love about the Puppet Master films, it’s Tunneler tunneling into people. The budgets on the modern Full Moon films ain’t what they used to be, so I’ve learned to set my expectations accordingly and I was not prepared to see Tunneler going full bore into a Nazi’s forehead within the opening five minutes of the film. I called for this in the review of the last Puppet Master film, and damn if Full Moon didn’t deliver! In this tenth Puppet Master film (or eleventh if we’re counting the horrible, non-Full Moon Sci-Fi channel entry, Puppet Master vs. 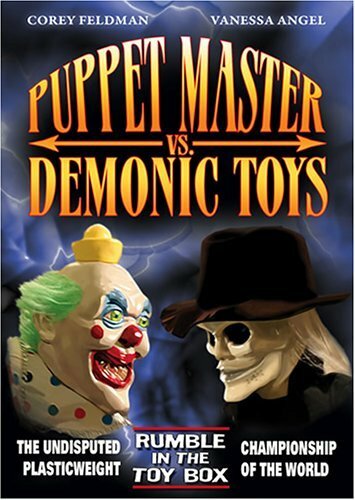 Demonic Toys), we pick up just the next day after the close of the last film, Puppet Master: Axis of Evil. It’s been over a year since I saw that one, so I don’t remember the finer details of where it ends. I recall everyone fighting on a stage and the good guys triumphing. Anyway, in this film Tunneler is quickly lost into Nazi hands and they set their resident puppet master to the task of reverse engineering him so that he can build a machine to resurrect people from the dead. How one leads to the other I don’t know, but whatever, it’s Part 10, what do you want? Anyway, the good guys Danny & Beth (here played by new, better actors) band together with an Army sergeant played by Brad Potts to take out the Nazi threat. That’s overly reductive, but it gives you the gist. Expectations: I hope it’s better than Demonic Toys 2. 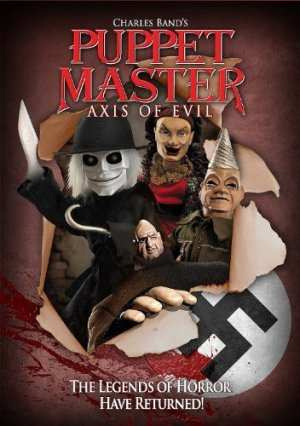 Puppet Master: Axis of Evil is a great example of the line that separates trash and art. The film contains some of the best cinematography in Full Moon’s history and it’s clear that a lot of time and effort went into making this film look as good as they could make it look. After watching the behind the scenes vidcasts though, the film was actually made incredibly quickly, so the finished product is all the more impressive. On the other side of that coin, the film features some of the worst acting the company has to offer (I expect no less from David DeCoteau… No hard feelings though) as well as one of the most boring and factually inaccurate scripts I’ve ever witnessed. Because it skirts this line so well, Puppet Master: Axis of Evil ends up being neither good nor playfully bad, instead staying relatively safe and boring. 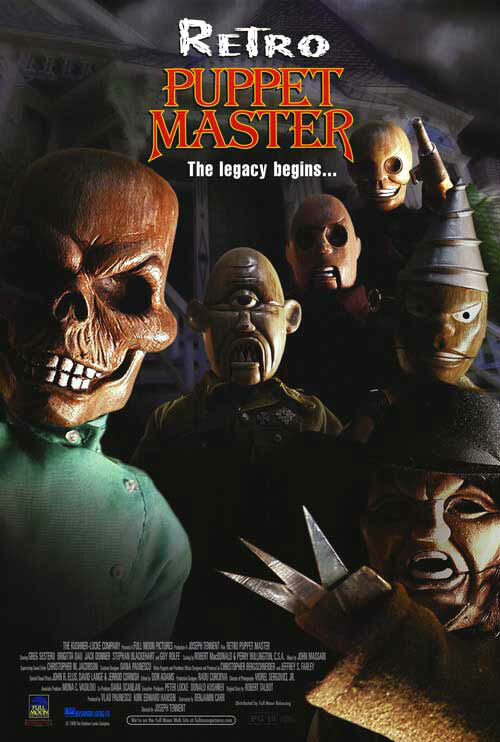 I love the Puppet Master films despite how poor a lot of them are. I came into this film excited, as the trailer made it look like they had actually stepped up the production values for once. Oddly though, instead of beefing up the FX budget or the script, they focused most of the money on the visual aesthetic, which isn’t the reason most people watch Full Moon movies so it seems like an odd choice. Imagine if they spent that money on the puppets! Despite this renewed focus on the visuals, virtually every set looks like a poorly dressed sound stage with flimsy-walled rooms constructed for that day’s scenes. It’s never really a problem except when there’s a wide shot with yet another wall covered by a giant American flag or a pair of propaganda war posters. In a strange way, it reminded me a lot of Lars von Trier’s set-less films Dogville & Mandarlay, where backgrounds and props were only minor mental cues to your imagination and the feeling of the sound stage was ever-present. If only Puppet Master: Axis of Evil had the acting and directing of Von Trier’s films. Expectations: Extremely low, this is a knock-off Puppet Master movie made for the Sci-Fi channel. There’s no way it’s good. Finally, the moment Full Moon fans have waited for! Two giant Full Moon franchises collide in an epic tale of good vs. evil! Except instead of Full Moon, the Sci-Fi Channel produced it and it’s awful? Yep, sad but true. It does have Corey Feldman if that sweetens the deal any… yeah, didn’t think it would. Puppet Master vs. Demonic Toys is a non-canon tale of the two groups meeting up, aping a bit of both series’ mythology and combining everything into a jumbled mess. Corey Feldman is Robert Toulon, a descendant of the puppet master who is trying to perfect the puppet animation formula. Meanwhile the head of Sharpe Toys wants to capture the toys for some reason that isn’t entirely clear (even after watching the entire film), and she also has made a deal with Bael to handover Toulon’s blood to fulfill some ancient pact. 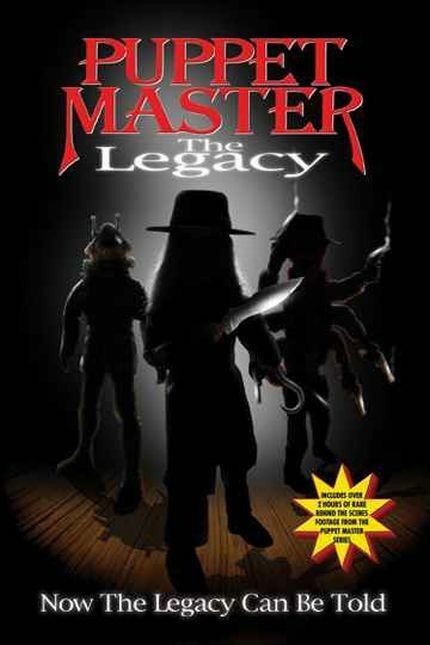 Expectations: Low, this is Puppet Master 7…if I have high expectations I’m just setting myself up for disaster. After an extended prologue, it is with this line that Retro Puppet Master truly begins and boy I never could have predicted just what an incredible journey it turned out to be. Followers of truly awful cinema know that Troll 2 holds the distinction of having some of the worst line delivery in film history. Retro Puppet Master comes close to that level of quality here, specifically the actors dubbing some of the character’s lines. 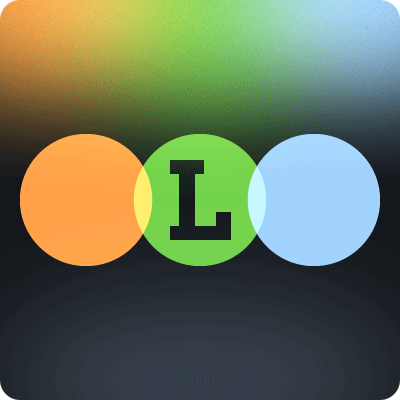 Lots of movie utilize ADR (Additional Dialogue Recording) to fix a flubbed line or make a key change to a sentence. Perhaps the actor’s voice wasn’t quite captured on the recording. ADR is used in virtually every movie but in the case of Retro Puppet Master, it’s more of a first line of defense instead of a fine tuning post-production tool. The finished film ends up being something of a midway point between a traditional film and a spaghetti western, which were shot without sound and later had everything dubbed in after photography. The work here is so bad and careless that I’m positive I could do a better job despite never working a single day doing ADR. Not only do the actor’s deliver the lines stilted and without emotion, all the ambient noise drops out of the soundtrack when a dubbed voice speaks. It’s really quite comical and actually adds lots of enjoyment to what is otherwise a very slow-moving and boring film.